- Vines. 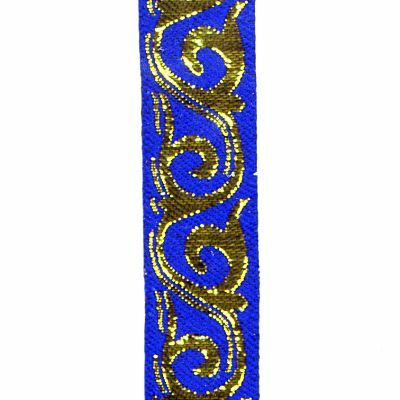 Blue and metallic gold. 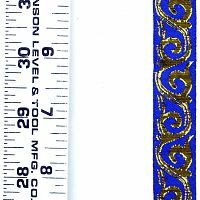 (Note: trim can be used reversed, showing blue vines on a gold background.) 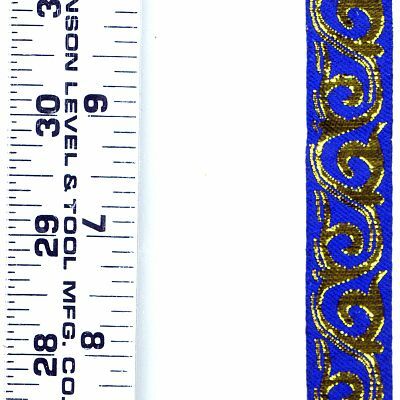 7/8" wide. 10 yards available. 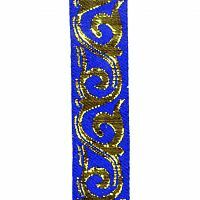 Do you have any other questions about our Blue and Metallic Gold Vine Trim?